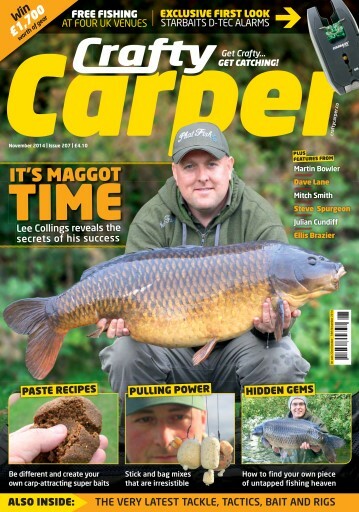 This month we find out the secrets to Lee Collings success as he catches a 40lb plus common from St Johns. 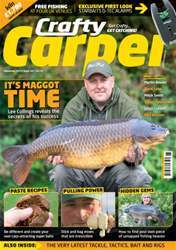 Laney sets his stall out for his favourite time of the year while Martin Bowler makes a comeback into the pages of Crafty, he’s always one not to be missed. Paul Hatton gives his take on perfect stick and bag mixes and actually takes them out on the bank and proves just how good they are! If you want to be different Mitch Smith looks at creating your own paste baits, they don’t have to be expensive either as you may have some of the ingredients in your kitchen cupboard. Learn about tackling shallower waters with Steve Spurgeon and also take the opportunity to win over £1,700 worth of carpy gear in this issue by entering our competitions from the likes of Fox and SONIK.